Featuring our Conference WordPress Themes specifically created with conference and exhibition event professionals in mind. Showthemes is proud to present one of the first WordPress themes dedicated to conference websites and exhibitions. Our conference and exhibition WordPress themes were built based on years of experience and feedback gathered from hundreds of conference websites, and we feel that we developed the perfect set of features. We offer solutions for all kinds of conferences. Multiple events, Complex Schedules, Conference Speaker and Attendee Management, you are all sorted. If you need a website look no further. Our Premium Conference WordPress Themes give you the all in one solution for a sparkling conference! 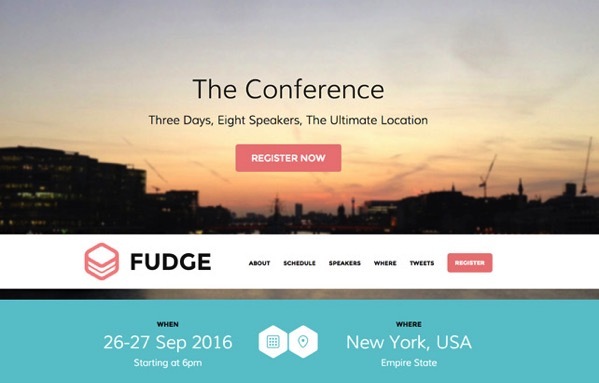 Awesome conferences around the world use our Conference and Exhibition WordPress Themes. 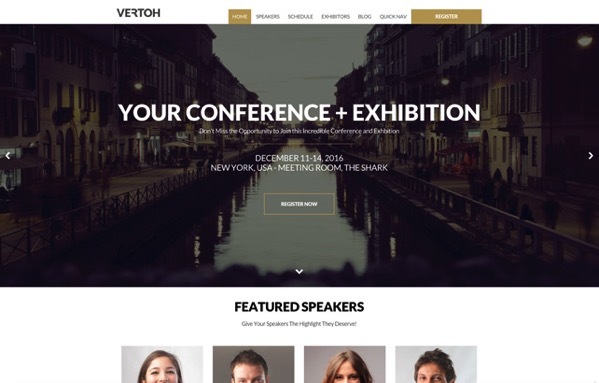 Vertoh is the premium WordPress Event Theme for conferences and exhibitions. Advanced conference features in a stunning design. Vertoh features 4 header options, WooCommerce integration, conference speaker scheduling and attendee management to easily manage single conferences. 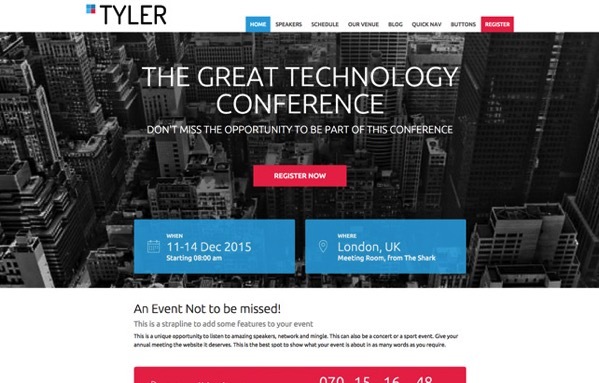 Tyler is a powerful WordPress theme for conferences that offers all the features you need to run events of all sizes. With a dedicated conference speaker profiles and detailed event management pages, Woocommerce, Eventbrite and EventEspresso integration, it’s perfect for conferences of all sizes. Display your conference on a single, stylish scrollable page without compromising on functionalities and advanced conference speaker and attendee management. Perfect for for Meetings, Annual Events, Workshops, Seminars. A responsive conference website template that allows advanced multiple conference management and is the perfect WordPress Theme for conferences and seminars. All your events and in one single portal so you are in control of every single aspect of your conference.